Lisbon is a great destination for a budget holiday. 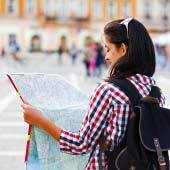 There is an extensive selection of great value accommodation, public transport is inexpensive and food (and drink!) is significantly cheap than back at home, so long as you shop or eat at the right places. In Lisbon, there is a whole range of free tourist activities and many of the enjoyable day trips only require the cost of the bus or train fare. This guide will detail how to get the most from a holiday to Lisbon on a limited budget; the first section deals with holiday practicalities, the second focuses on eating out, and the third section suggests inexpensive sights and activities. 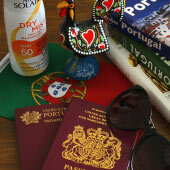 The biggest expense for any holiday to Lisbon will be the flights and accommodation. 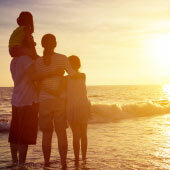 These can be reduced by booking far-in-advance, especially with the flights. The price of flights never reduces closer to the departure date, while the business models of the low-cost airlines increase the price of seats as the plane fills up. The best time get the cheapest tickets are when the flights have just been released, typically nine months before the departure date. For accommodation there can be last minute deals, outside of the peak season, but these tend to be on the higher end rooms. 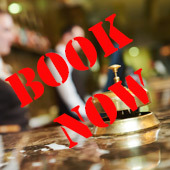 Many hotel booking websites do not require a deposit, so there is no monetary penalty for altering plans or even cancelling, our advice for Lisbon is book far-in-advance. Where to stay for a Lisbon Cheap Holiday? Lisbon has an extensive selection of hotels and hostels but always balance the price of the accommodation against the location in the city. It is suggested to be based close to the Baixa district of Lisbon, or approximately 1km (walking distance) from the Rua Augusta Alfama (to the east of Baixa) is very hilly and due to the narrow, poorly lit streets, it’s not always advisable to be walking late at night around it. Bairro Alto to the west of Baixa tends to be the nightlife hub of Lisbon and depending on the style of holiday can be a fantastic or awful location. 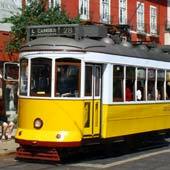 Travelling north from Baixa feels further from the tourist and historic centre of Lisbon. If you are going to be further from the downtown area always make sure that the accommodation is close to a metro station. When to Visit Lisbon for a Inexpensive Trip? The height of the tourist season is during the summer months of June through to August and this is when accommodation sells out and flights are at their most expensive. Spring and autumn seasons are a great time of year to visit Lisbon, with pleasant weather, cheaper flights and the tourist attractions are less crowded. 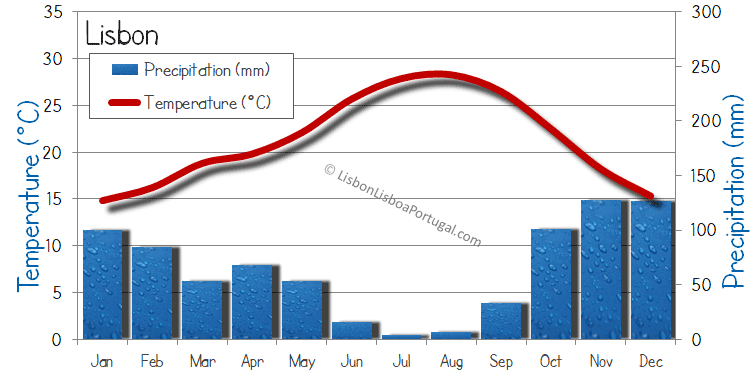 The weather in winter is mild but there can be extended wet spells. Lisbon’s popularity has been steadily increasing over the last 10 years, so even during the winter there will be lots of tourists and a buzz about the city. 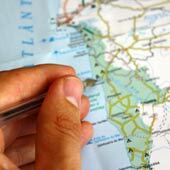 Onward travel from the Airport - Cheap Please! Lisbon airport is within the city limits and is connected to the metro, so there is no need to book expensive onward transfers or taxis. The metro covers the entire city and a single ticket costs €1.50, with a 30-minute journey to the city centre (Baixa). There is a special airport bus service called the Aerobus that connects the airport to Baixa and Rossio square (€3.50) but generally metro is easier. 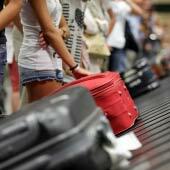 Lisbon taxis are notorious for overcharging fares from the airport and visitors newly arrived. Portugal uses Euros, and a suitable amount should be exchanged before arriving in the country as the exchange rates at the airport are awful. Debit and credit cards have many hidden fees and making small transactions by card can be very expensive. Prepaid travel cards are a modern and safe way to take large amounts of money, these act like debit cards and are loaded with the local currency. What’s expensive in Lisbon and what’s not? The best general description of what is expensive in Lisbon and what is cheap is; if its imported its expensive, if it’s grown/produced/made in Portugal its cheap. Examples of inexpensive items or services include; locally produced foods or wines, public transport, taxi fares, lunch time meals and handmade gifts. Expensive items include; medications, branded items (food, clothes etc), electronic goods and drinks in nightclubs! Always bring all medication and cosmetics from your home country as they are expensive in Portugal and this includes sun-cream, which is always ridiculously expensive. It is not uncommon to see in convince stores that the price of a bottle of shower gel is more expensive than a bottle of good wine – sums of Portugal’s prioritise. It is very easy to eat inexpensively while on holiday to Lisbon, the key is to avoid the tourist centres and head to where the Portuguese eat. Portuguese eating establishments are busy, noisy and chaotic affairs and some of the best food is served from the numerous cafes. Cafes are ideal for lunch as they often have a great value set of meals based on traditional dishes, such as Bacalhau. A traditional Portuguese breakfast, two cakes and a strong coffee! For cheap alcoholic drinks, head to the supermarkets or cafes. All cafes serve incredibly cheap beer (Sagres or Super Bock), often cheaper than bottled water. Spirits and wine can also be purchased from cafes and these locations are a great opportunity to meet some locals. Bars, and especially nightclubs are very expensive, a whole holiday budget can be blown on a "trendy" night out. The small bars of the Bairro Alto are a great option and at the weekends as the party spills out on the streets. The quaint number 28 tram is an inexpensive way to view the entire city. The route screeches through the hills of Alfama before passing through downtown Baixa and on to the Estrela basilica. A single ticket for this 40 minute tour of Lisbon costs €1.50 when purchased from the ticket machines in the metro or €3.00 when bought from the driver. 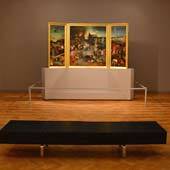 The Museu Berardo is the best free museum in Lisbon, with a selection of 1,000 pieces of contemporary and modern art. The museum is located in the CCB in the Belem district of Lisbon. 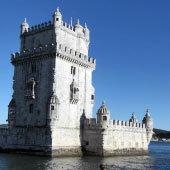 Belem is a very pretty area of parks and monuments that extends along the Tejo estuary. Belem is an enjoyable location for half a day. 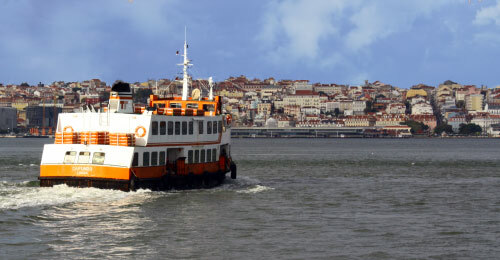 The commuter ferries of Lisbon provide a riverside view of the capital and are a fraction of the cost of the tourist cruises. The ferries from Cais do Sodré pass beneath the shadow of the suspension bridge, while the ferries from Terreiro do Paço provide great views of Alfama and Baixa. The ferry from Cais do Sodré to Cacilhas (€1.25 single) is the first stage of the journey to the Cristo Rei statue. From Cacilhas catch the 101 bus (€2.20 return) to the base of the statue and admire the fantastic panoramic views. The Parque das Nações was the location of Expo ’98 and the whole area has been developed into the ultra-modern side of historic Lisbon. The area stretches along the banks of the Tejo estuary and is filled with water focused exhibits and stands while running along the length is a cable car. Lisbon is an ideal city for walking, there are many enjoyable routes that pass through interesting and varied areas. The Alfama district is simply too narrow for motorised vehicles and can only be explored on foot. Many of the iconic monuments of Lisbon can be viewed from the outside, and all of the important churches are free to enter. The beaches of the Lisbon coastline are connected to the capital via the Cascais-Lisbon railway. 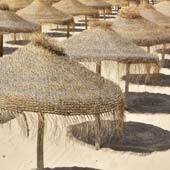 A return ticket to Carcavelos beach, the best of the region, is less than €3.00. Along the same railway are the pretty harbour town of Cascais and the glamorous resort of Estoril, both of which can be easily explored on foot. In central Cascais it is even possible to hire free bikes (ID required) to further explore the coastline. The most popular day trip from Lisbon is to the town of Sintra, which is nestled in the foothills of the Serra de Sintra national park. There are two interesting palaces, an ancient ruined castle and other grand 19th century stately homes. The national monuments are relatively expensive to enter but the grounds ticket to the Pena Palace (€7.50) allows visitors to wander around the terraces and courtyards of the colourful complex. The return train from Lisbon to Sintra costs €2.40 and the historic centre is a 1.5km walk from the station but an uphill hike is required to reach the Pena Palace.